Google announced some time ago that it will get rid of Google Reader as of July 1st. That why I already started looking for alternatives. I've been happy with NewsBlur up to now, however this Android app has often been criticized. A few days ago, the app received an update which really improved it. Whether the app can now meet expectations will be exposed in today’s app test review. After installing the app, you need to first log into your NewsBlur account. After that, the app synchronizes with the service and web view, so that read articles appear in the app as unread. After logging in, you get access to a list of your subscribed feeds. These can also be displayed in folders. One thing that I liked is that you can either unfold or tap on the folders to open them. You can either view all folders at once or tap on individual feeds to get access to the article. In the list of articles, you're able to press the menu buttons to either mark all articles as read or erase a feed. If you keep your finger pushed on an article, you can either sort this article or all of them and sort them as read. This is similar to the original Reader app. 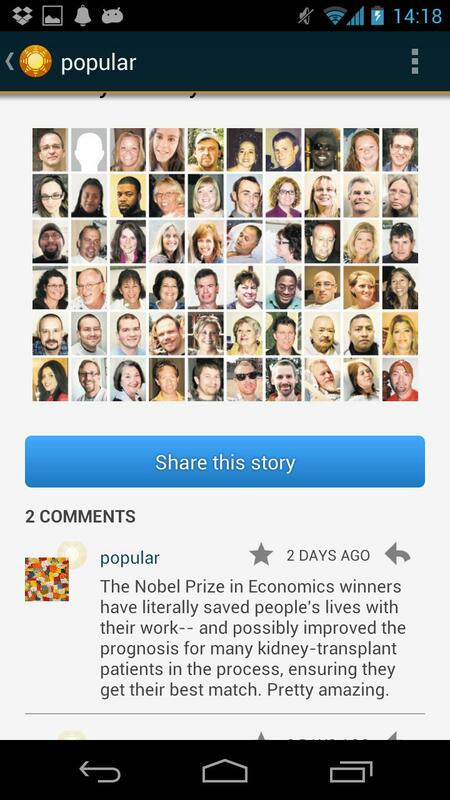 If you now tap on an article, you'll see the title, date, author and tags. By moving from page to page with your finger, you can switch between articles in a feed. By going through the menu buttons, you can call up the original story, share it, increase the text size or save the article offline. 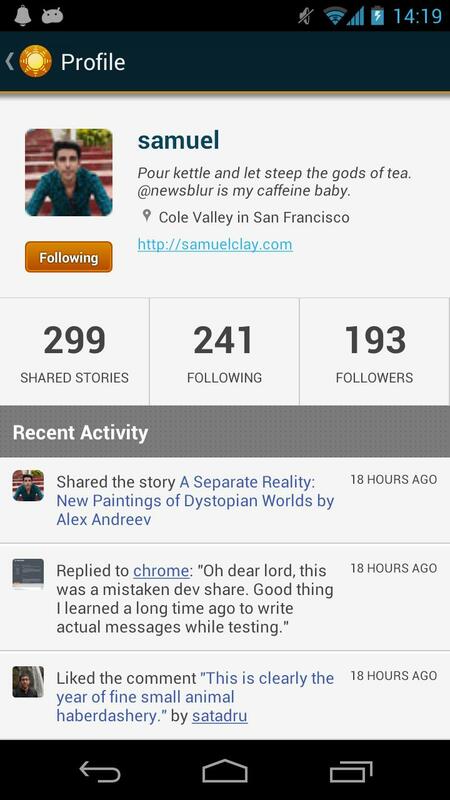 You're also able to share the BlurBlog that isn't as of yet often frequented by users. There is almost nothing more to say since NewsBlur doesn't have any setting options or further functions. It's a shame that the app doesn't have a widget but maybe it will come soon. 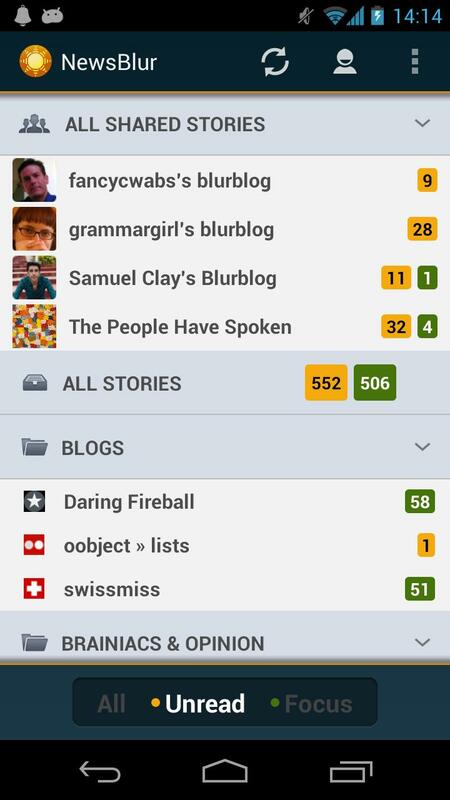 NewsBlur is my hope for the next best Google Reader alternative. As a blogger, I need a good RSS reader and so far I'm impressed. 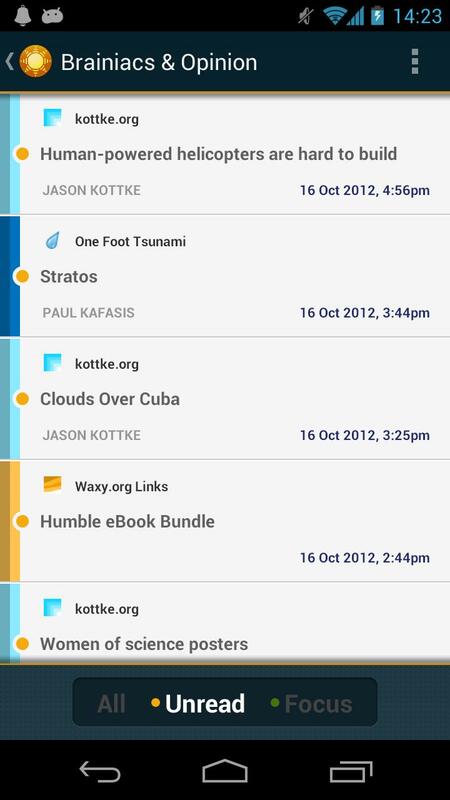 The app is a tad minimalistic, but offers the necessary bits and pieces that one needs in a mobile app. Operating NewsBlur is strongly reminiscent of the original Google Reader app that I really loved. Although the design could be better, it has a partly holo style which doesn’t look too bad. 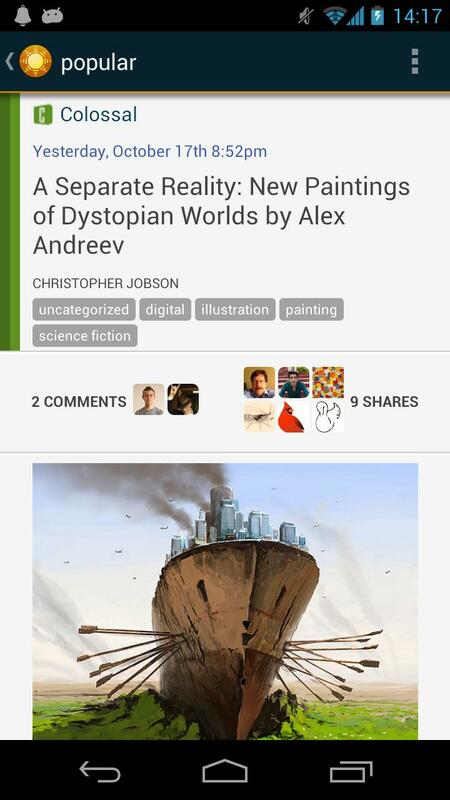 In most RSS readers, the content is in the foreground which is why design plays a minor role. NewsBlur ran smoothly and without any glitches. The NewsBlur app is available for free in the Google Play Store. For normal use, the service is free. Only advanced users who require many feeds should consider the premium account which costs about $36 per year and is relatively cheap.